I found Coach Nicholas Reese leading Ms. Ana’s class of 4th graders in rounds of calisthenics interwoven with what looked from afar to be some kind of aerobic running/tagging game with balls. Then he gently blew his whistle (no screeching blast) and raised his hand. The students immediately stopped and crouched down quietly. In a normal conversational tone (no yelling), he explained the clean-up procedure, which the kids proceeded to calmly execute. It’s the magic of Coach, Peralta’s physical education teacher, now in what I hope will be his third of many years at Peralta. 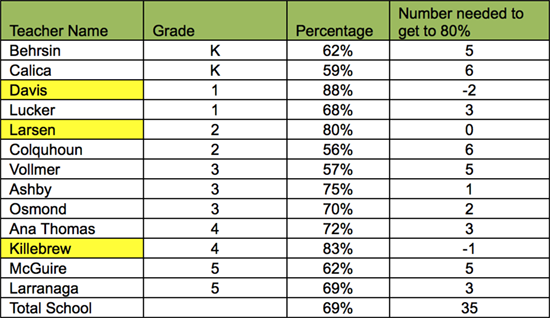 Speaking of competition... each school week, Coach runs a contest among all 1st-5th grade Peralta classes to see which class can score the highest on his 30 point scale, though if this year’s Kinders were included, they’d be strong contenders. “I’ve never seen a Kindergarten class that gets along and listens so well,” he confided. Coach awards a maximum of 5 points each for listening, respect, transitions, and three games or activities, in a series. If a class doesn’t make it through all three of the games, for example (because they’re not paying attention, or messing around or doing whatever kids do), then they don’t get a chance to earn those 5 points. The winning class scores “Extra Game Time” with Coach. The fact that extra time with Coach motivates the kids to work hard speaks volumes about how much Peralta students value him and physical education. Ms. Larsen’s 2nd grade, and Ms. Ana’s 4th grade won the first two weeks. Coach is in the middle of earning his teaching credential, though he’s taking a break this year so he can continue to focus on elementary school kids — his true passion. He hopes to be able to stay at Peralta long enough to see his first Kinder classes through to graduation. That class is currently in 2nd grade. OUSD does not fund Coach’s teaching position. Your contributions to the Peralta Fund do. Your continued support — donate now — should allow us to keep Coach at Peralta for the next four years. That’s his goal. Could we earn Extra Game Time after that? Time will tell. During the upper grades’ lunchtime at Peralta, the library fills up, as pods of children fill the spaces to read, draw and play quiet games. Presiding over this gentle thrum of activity is Sonia Spindt, Peralta’s librarian since 1990. Turns out Sonia’s not actually a librarian. She’s a bona fide credentialed teacher. She got her start as a teacher for in Los Angeles and Richmond, before opening a teachers’ supply bookstore in Albany. Then life took over — she had three boys in seven years. When she resurfaced, her children all attended Peralta, where the PPTG made her what she considers “a lovely offer.” Would she be interested in running the library, perhaps 20 hours per week, bringing the classrooms in for projects and the like? She would. Here’s one thing you cannot do at the Peralta library: check out books. The library runs completely on the honor system. When your kids go into the library and find books that pique their interest, they can just take them home to settle in for a good read. Same goes for you, children’s books or otherwise. The Peralta library also hosts a section that offers many popular parenting books. When you’re done, bring it back. At Peralta, there’s just no need to overcomplicate the system. However, if she had unlimited resources (and energy! ), Sonia would reorganize that system, cleaning the library out, reconfiguring the shelves and creating a larger, more comfortable reading area to accommodate her regulars in style. One of the best ways you can support the library is… wait for it… YES, by donating money to the Peralta Fund. Awww. You have been paying attention, haven’t you? OUSD does not fund the library. Donate now. Another way would be to buy books and tenuously-related stuff — bookmarks, posters, and the ubiquitous pull-apart erasers) at the Book Fair, happening right now. Send your kids to school with small amounts of cash (can be held by teachers) or a check made out to the PPTG. Your kid can go at lunchtime. Or show up yourself with your credit or debit card and your patience after school. A whopping 35% of sales at the fall Book Fair comes back to Peralta. If we raise even more (which is to say, if you spend even more), that percentage goes up. With the classes of Ashby and Osmond hot on their heels. But hey, it's not a competition. We will all get to 80%. Right? Look around at drop off time, if you're able to be at school. About 2/3 of your fellow parents have already donated to the Peralta Fund. Please join us. Any amount helps our school reach our goal — to get 80% of us to contribute money towards paying for P.E., the library, art, music, the gardens, field trips and a variety of other things that OUSD simply does not have the money to pay for. Let us not be people who know the price of everything and the value of nothing. Nope, not Christo and Jeanne-Claude's 'Gates'. If you have dropped off or picked up your child lately, you may have seen Peralta’s newest addition: locking chain link gates at the Dana & North Street entrances. In response to perceived threats to safety on campus, Principal Giselle Hendrie marshaled her contacts at OUSD with astonishing speed. The gates were installed within a week. Ms. Hendrie had previously announced via a summertime email that the campus would henceforth be locked. At back-to-school night, she shared with parents a fuller account of her decision-making process in this matter. Before before the start of school this year, there were two incidents of adults wandering school grounds and classrooms. When questioned, the adults both said they had been hoping to find a way to enroll their children at Peralta. Furthermore, over the summer, teenage children on skateboards accessed the school yard, ultimately damaging a PPTG table and behaving disrespectfully toward a staff member. Peralta already had roll-down gates. However, these gates could not be legally locked, as the children’s need for potential fast emergency egress trumped other concerns. Ms. Hendrie consulted with the District to find this new solution. In no time flat, Peralta sported a pair of locking gate doors that open easily from the inside using panic bars — bars that allow anyone to open the door by simply pushing from inside. If you need to come on to campus between drop-off and pick up times, you’ll need to use the 63rd Street entrance (which will be locked). Ring to be let in. After-care parents need to pick up their children using the Alcatraz gate, only, as all other entrances will be locked after 4pm. Ms. Hendrie will be at the PPTG meeting on Wednesday in order to meet parents, engage in discussion and answer lingering questions about the gates, the new thinking about nuts on campus, or any other topics you may want to broach. Just to clear up any confusion: Peralta is not going nut-free. It is going mindfully nut-refrained. Does that clear it up for you? Me neither. You know that thing where they say a stegosaurus’ brain was the size of a walnut? I was feeling rather reptilian myself, so I sought remedial instruction on just what was happening on the nut front. There are ten children on campus, across all grades except 1st, with potentially life-threatening nut allergies. As per District policy (four words that were, perhaps, previously not often heard at Peralta), Ms. Hendrie declared those children’s classrooms nut-free areas, posting signs to that effect. Furthermore, she sent home notes for all parents of children in those classrooms to sign stating that they understood they were not to send nuts or nut-containing food to be consumed in the classroom. That was all pretty clear. The next day, all parents got an email from Ms. Hendrie suggesting that she was declaring all of Peralta nut-free. She was not. She cheerfully clarified for me what she was asking. “I am asking that folks be mindful of the fact that we have ten severely allergic children on the campus and minimize the risk to them where possible." Parents: you and your consciences can decide on the right course of action for you. Sometimes, it gets hard to see the forest for the trees. Peralta Fund. Donate now. Donate later (but not much later). More on this topic, I promise, in the next exciting issue. Our kids are actually enrolled in a fully functioning school, led by talented, hard-working professionals, who make learning and good times happen, every day. Want to fall into the gravitational pull of an accomplished story teller? Ask Giselle Hendrie, Peralta’s new Principal, why she loves teaching. In primary school, Hendrie was the kid who asked way to many questions, but was also by nature a shy person. When prompted to name a moment that stood out for her in those early years of schooling, she shared an anecdote of participating in a fashion show at school. But we can try to help her get it, anyways. Here’s how we can best support her as she gets accustomed to the waters of elementary school-aged kids for the first time: "This transition has a steep learning curve. I want to learn all about this community. Be patient with me, and give me time to learn. Be open enough to share with me, so I can listen and learn. Introduce yourself to me many times." According to a police report, the party, a seemingly innocent fundraising auction benefitting Peralta Elementary School, spun out of control when revelers realized that even though they were only given one drink with their admission ticket, they could buy extra 1930s style cocktails in exchange for strange pieces of paper and metal some referred to as ‘cash’. 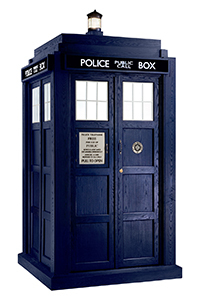 When, in response to noise complaints, officers tried to break up the party, organizers Stacy and Peter Kozakavich hopped into a TARDIS and disappeared into the night, leaving behind a stunned crew of fellow partygoers and officers. Presumably, they fled to continue their important work to save civilizations and help other people desperately in need of a good time.